Gionee Qualicom Driver allows you to connect your Qualcomm Android Device to the Computer without the need of installing any PC Suite Applications. Here, on this page we have managed to share the latest version of Qualicom Driver that you may require while flashing the firmware or IMEI on your Gionee or any other Qualcomm Devices. 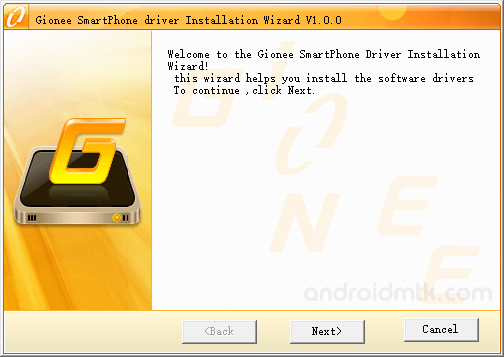 Gionee Qualicom Driver comes as AutoInstaller, which means you dont have to install the driver manually. Simpy run the Driver Setup File and you are ready to use the Driver for general connecting the device to the computer or flashing the stock firmware or IMEI on your Qualcomm device. Gionee Qualicom Driver supports almost all type of Qualcomm Flashing tool which includes Qcom Phone Download Tool, GNQC Download Tool and eMMC Download Tool. You have to install the Driver before using any Qualcomm Flashing Tool other wise you may face connecting issue. It also supports almost all type of Qualcomm IMEI Flashing Tool which includes Qualicom Write IMEI Tool. If you are looking for Qualcomm IMEI Tool then head over to the Download Qualicom Write IMEI Tool Page. [*] Compatible With: Qualicom Driver is compatible with Windows XP, Windows Vista, Windows 7, Windows 8, Windows 8.1 and Windows 10. It doesnt supports Linux and Mac Computers. [*] Supports: Qualicom Driver supports all Qualcomm flashing tool including Qcom Phone Download Tool, GNQC Download Tool, eMMC Download Tool and Qualicom Write IMEI Tool. [*] Credits: Qualicom Driver is created and distributed by Gionee Team. So, full credits goes to them for sharing the driver for free.